Mapleworks Coaching Solutions exists to help people reach their goals by understanding each individual's objectives, collaboratively generating a path to success. A coach brings several things to the table to help improve performance: an objective perspective, outside accountability, specialized knowledge, and time. The most important of these is being an objective outsider. A coach is more than a trainer. We work with you to win, to accomplish objectives, not to just increase your fitness. Eric has been cycling for over 10 years, discovering the sport after many miles of track and cross-country in high school and college. Through groups rides, joining a club, and racing over the years, he slowly developed a passion for the sport and appreciation for all the positive outcomes it has had on his life. 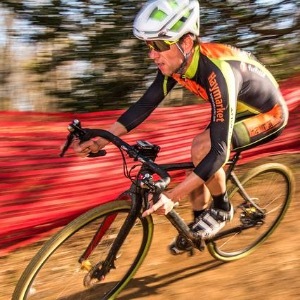 Several years ago he decided to give cyclocross a try, and realized he found an awesome combination of the old sport he grew up with (cross-country) with his new interest in cycling. When Mapleworks athletes hit the start line, they are prepared like no other. Anyone interested in setting goals and objectives and working hard to achieve them. Success. Coach Eric Griffin has been notified of your message.